Cebu is an island province of the Philippines, where historical tourist spots still exist. If you are traveling or searching for some historical facts about the Philippines, Cebu is one of the most remarkable places. This is the Mother and Head of all Churches in the Philippines. This church is considered as the oldest Catholic church that established in 1565. The King and Queen of Cebu were given the image of the Holy Child depicting the Child Jesus as a symbol of peace and friendship, later known as Santo Nino de Cebu. Pope Paul VI said that it was “the symbol of the birth and growth of Christianity in the Philippines”. Santo Nino de Cebu is the centerpiece image during the largest annual event in Cebu, the Sinulog festival. 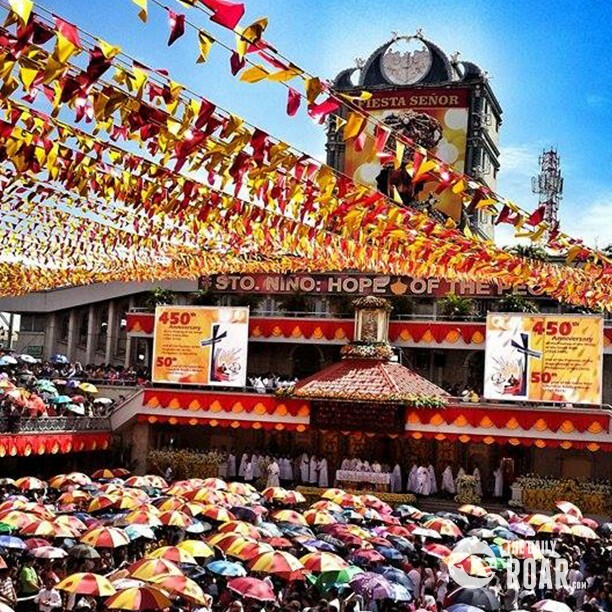 Thousands of people join together to take a pilgrimage to see the Santo Nino de Cebu. Undeniably, the Spanish colonization has a great impact to the modern society. It is located in city block bordered by Osmeña Boulevard, D. Jakosalem St, P. Burgos St. and the Plaza Sugbo where the Magellan’s Cross is located. Jeepney would take you there for 8Php-10Php or you can even walk to the Basilica from Colon Street. 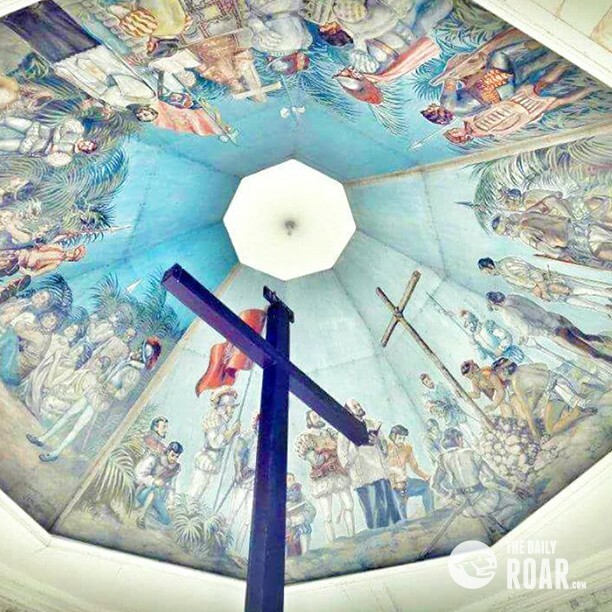 During the Spanish colonization, the native chieftain of Cebu, Rajah Humabon and his wife, Queen Humammay were persuaded and baptized as Christians, and the Magellan’s Cross symbolizes their pledge of allegiance to Spain. Along with the rulers, hundreds of islanders were also baptized. 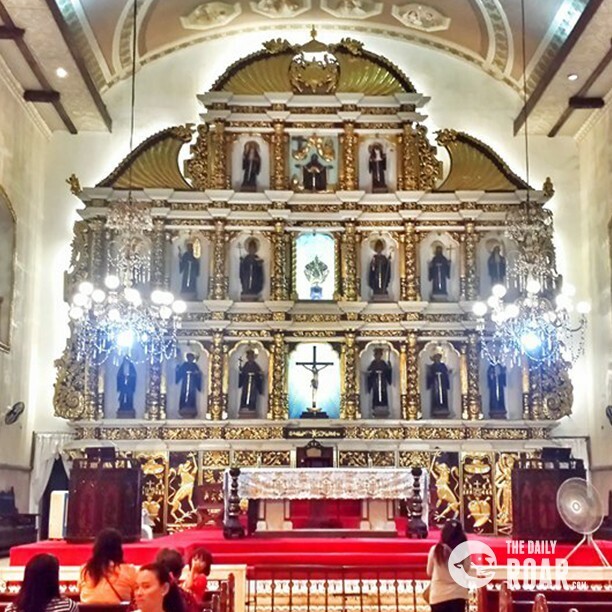 The cross is located next to the Basilica Minore del Santo Niño on Magallanes Street. This was planted as ordered by Ferdinand Magellan. However, many people said that the cross had been destroyed after Magellan’s death, and the cross that housed in the chapel is just a replica that was planted by the Spaniards after the colonization. The Heritage of Cebu Monument is located in Plaza Parian at Colon Street and is made by the multi-awarded sculptor, Edgardo Castrillo. The construction began on July 1997 and it was inaugurated on Dec. 8, 2000. Detailed statues represent more than 500 years of Cebu’s history. 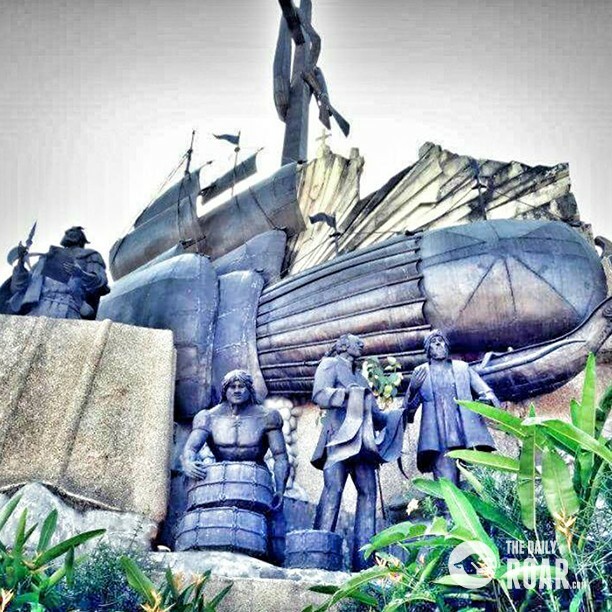 You will see the monuments represents the fight of the native chieftain Lapu-lapu who defeated Ferdinand Magellan. 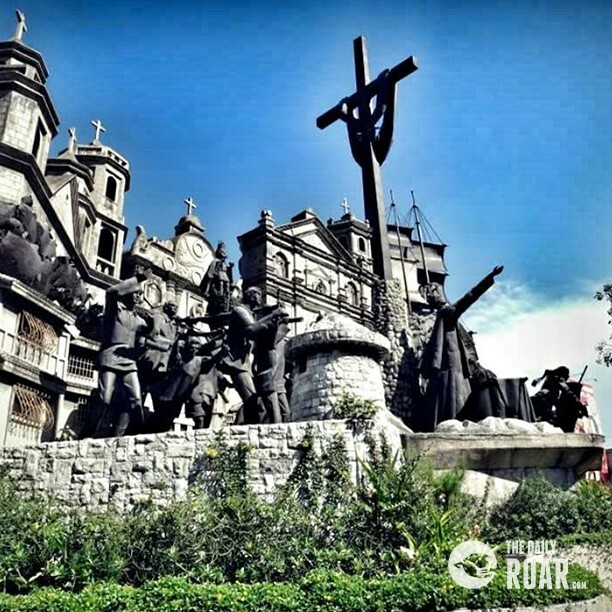 Other remarkable structure carved on the monument is the huge Spanish Galleon, the 3 churches (Basilica Minore Del Santo Nino, the Metropolitan Cebu Cathedral, and San Juan Bautista Parish Church), and in the center is the Magellan Cross. 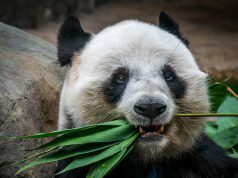 If you look at them closely, you would see many historical events. There is no entrance fee if you want to visit this place. 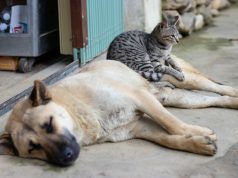 However, donations are encouraged to maintain the plaza. Many tourists visit the Simala Shrine in Lindogon, Sibonga not only limit themselves to praying, but also to witness the architectural view of the place. 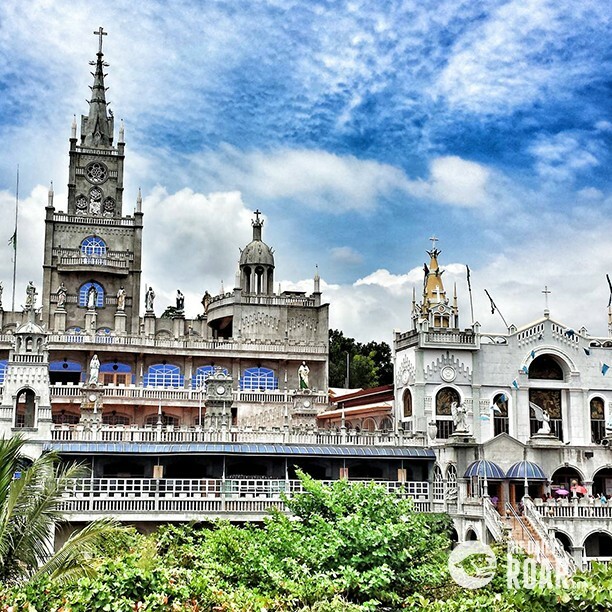 Many believe that this is a perfect house for the Miraculous Mother Mary of Simala. It has been said that the statue of Miraculous Mother Mary possesses miraculous power and can cure serious illnesses. Because of the overwhelming news, many people line up to see the Miraculous Mother Mary inside.